Had a craving for ramen but didn't fancy jostling with the mad crowds at Santouka or Marutama nor was I particularly willing to pay in excess of $15 for a bowl of ramen. 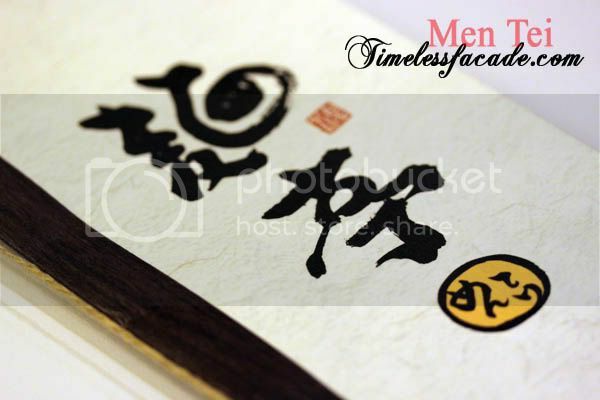 Enter Men Tei, which I came across while reading some forums online. Its selling point (to me at least)? 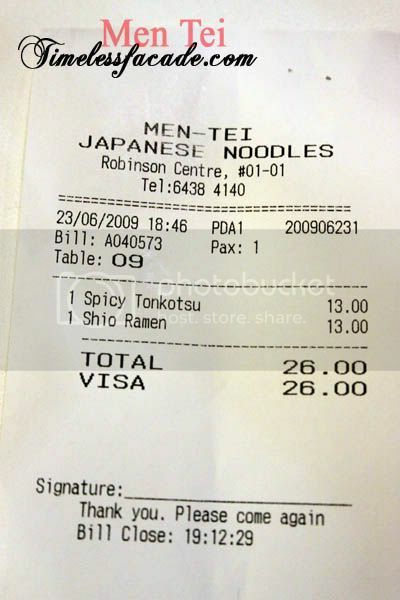 All bowls of ramen go for $13 nett. 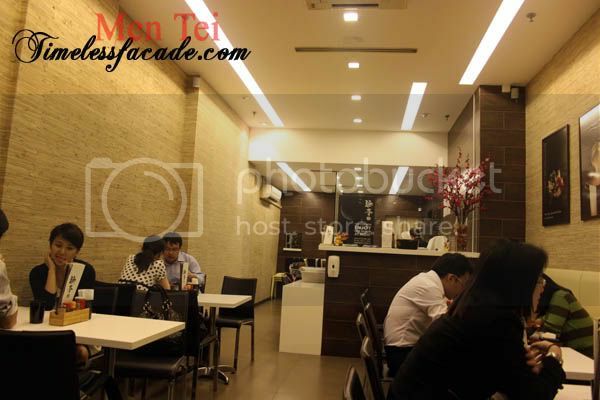 Located on the ground level of Robinson Centre along Robinson Road in the Central Business District (CBD), Men Tei occupys a small space that is simpley done up and seats probably about 20 pax tops. The menu occupies a single sheet of paper (6 different types of ramen) so if you are looking for variety, this place is probably out. 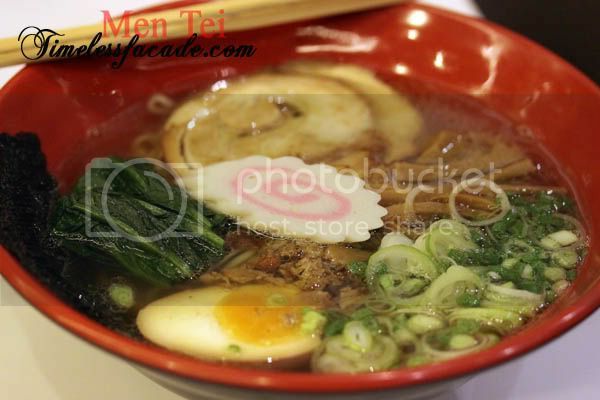 You have the option of specifying the "doneness" of your noodles, ranging from normal, hard or extra hard. I didn't know that until after my ramen was served so I am assuming they gave me the normal option. I thought that it was a little too soft but at least it retained a little chewiness. The ramen broth honestly wasn't very robust and I couldn't quite make out any pork taste. Simply put, it was just salty but light. The egg was quite well done - quivery without being overly soft while the yakibuta (3 slices) was tender and flavourful. Although the spicy ramen looked the part, it actually wasn't that bad and that's coming from someone who has a low tolerance for spiciness. As with the Shio ramen, the broth wasn't very robust but the yakibuta and tamago were equally good. For the price, I honestly think its value for money given the quality of the ramen. 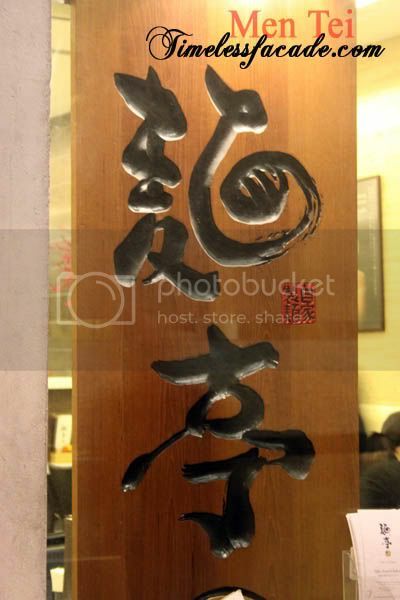 Service is decent as well and best of all, there is no queue when you dine there on weekday evenings (they do not open on weekends or public holidays). The same can't be said for weekday lunch though. 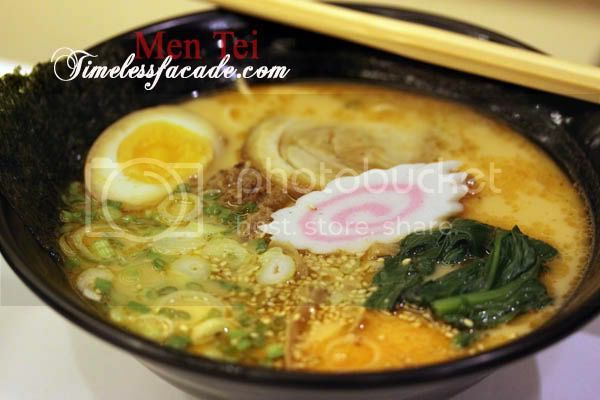 Men Tei also provides a delivery service to nearby offices for those who crave ramen but are too busy to step out.